You are here: Home>FAQ>How To Get A Right LED Replacement? We need to take lighting fixture efficiency, power efficiency, Effective illumination efficiency, as well as lighting source efficiency in our consideration, when think about LED replacements. According to CIE's suggestions, direct lighting luminaire has lighting fixture efficiency of 90-100%, semi-direct lighting luminaire has 60-90%, diffused lighting luminaire has 40-60%, semi-indirect lighting luminaire has 10-40%, and indirect lighting luminaire has less than 10%. While the common lighting luminaire like spot lights have 40%-55% fixture efficiency, flood lights have 55-70%, florescent lights have 40-55% and LED have 80-90%. For brightness, look for lumens, not watts. Lumens indicate light output. Watts indicate energy consumed. 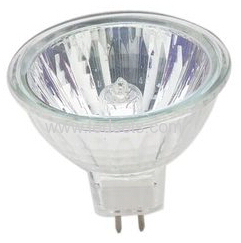 From this form, you may get some idea of the LED replacements. Eg. You want to replace a 50W halogen, with actual lighting lumens of about 500LM; an 8W LED MR16 can meet the needs, with about 550LM. 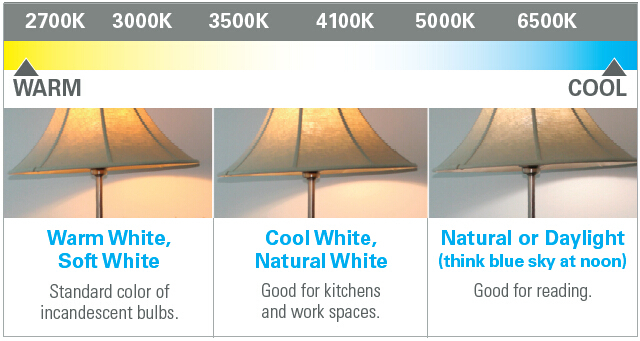 For Light color, Think about the purpose and the mood you want from your light. Most people prefer "soft white" (yellowish) light in bedrooms, dining rooms and living rooms, or rooms with warm paint tones. They opt for cooler white light in work spaces such as home offices, garages, outdoors or in rooms with cooler paint tones.